Can Cardiff City stay up in the Premier League? Cardiff City's fight to stay in the Premier League after 51 years battling to get in to the top flight ended after just one season. BBC Wales football correspondent Rob Phillips looks back at their season, and assesses where it went wrong. Cardiff City's first season in the top tier since 1962 has been eventful both on and off the pitch. Under then-manager Malky Mackay's guidance, City won promotion to the Premier League by comfortably winning the Championship. The Scot broke the club's transfer record three times in pre-season, bringing in Andreas Cornelius from Danish club FC Copenhagen, Steven Caulker from Tottenham and Gary Medel from Sevilla. They opened their home campaign with a dramatic 3-2 win over one of the title favourites Manchester City and held champions Manchester United to a draw. Perhaps sweetest of all was the win over bitter rivals Swansea City in the first top-flight south Wales derby. But by then rumours of discontent between manager and controversial owner Vincent Tan had surfaced. Mackay was already feeling undermined by the removal of his trusted head of recruitment Iain Moody, who was instrumental in bringing in some of the record summer signings. Fans held protests and sang songs in support of Mackay, but the Scot was sacked following the 3-0 home defeat to Southampton in December. City replaced Mackay with former Manchester United striker Ole Gunnar Solskjaer. The Norwegian was given funds to bring in seven players to bolster the club's survival hopes, including Manchester United's Wilfried Zaha on loan. So far his side have picked up just 12 points from a possible 45 in the Premier League - eight of those won at home. Away from the Cardiff City Stadium the Bluebirds have struggled all season, managing just two victories on the road this term in the Premier League. 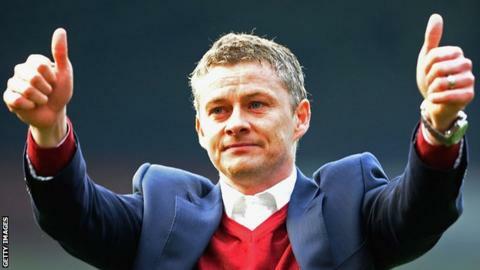 Solskjaer has said a record low number of points could be good enough to stay up. His side are currently two points adrift of possible safety and have a mountain to climb after their following their 4-0 defeat against Sunderland at the Stadium of Light. It was a disappointing outcome after the 1-0 win over Southampton at St Mary's in their last away game. That result came the day after allegations that Crystal Palace had obtained details of the Cardiff team 24 hours before their game by underhand means. And as it turns out the visit of Chelsea - the sort of world-class club the fans won't be seeing week-in, week out next season - will have nothing riding on it for Cardiff. Will this game decide anything? Cardiff want the fight against relegation to go to the last day - Chelsea hope to be going for the Premier League title. The chances of either scenario being in place looks less likely after recent days. But Jose Mourinho at the Cardiff City Stadium should be a treat worth waiting for, whatever the outcome.